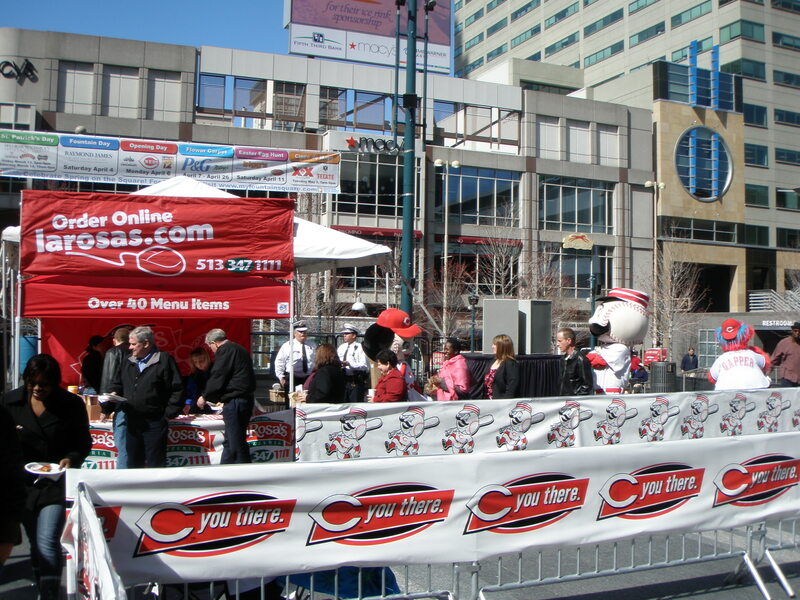 LaRosa’s was kind enough to provide lunch for those waiting in line for Opening Day tickets at Fountain Square. It looks like Rosie, Mr. Redlegs and Gapper are working up quite an appetite. 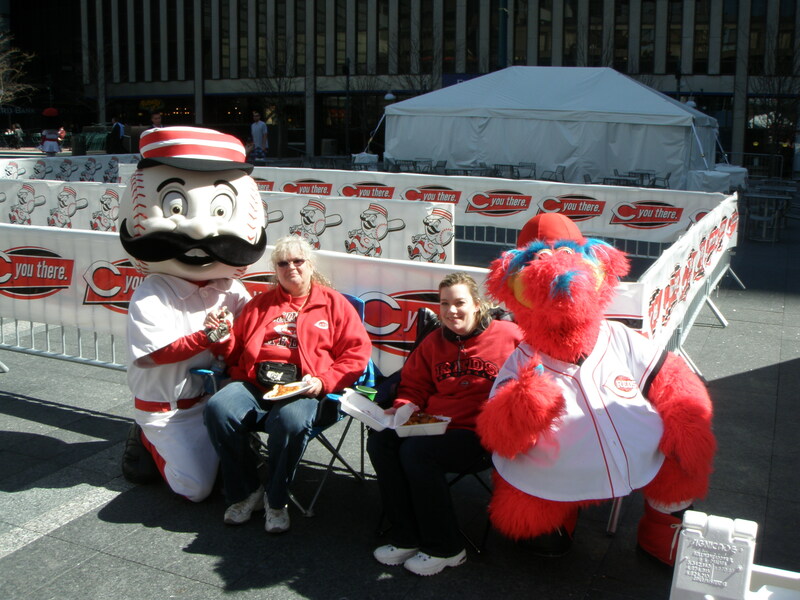 First in line for Opening Day tickets are Sherry Strunk (left) and daughter Kristin (right) from Cincinnati. 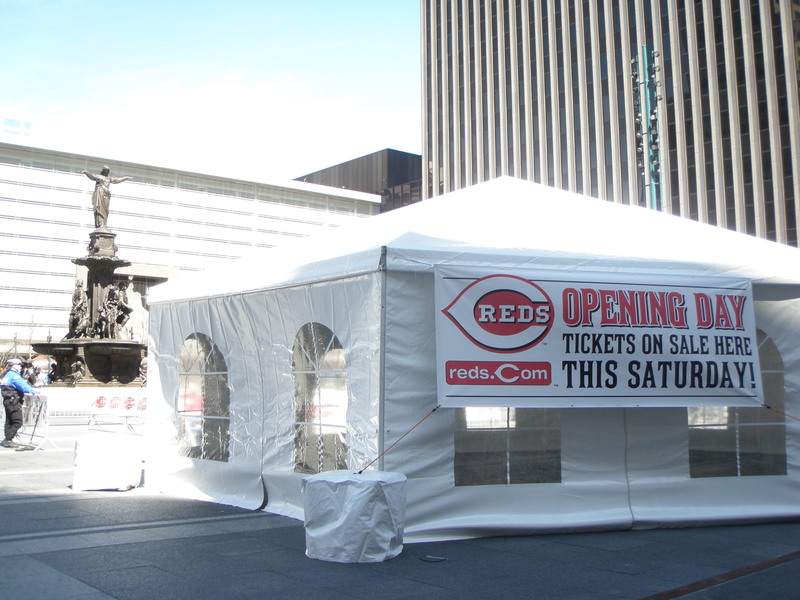 They are Reds season ticket holders and veterans to the Opening Day ticket scene. 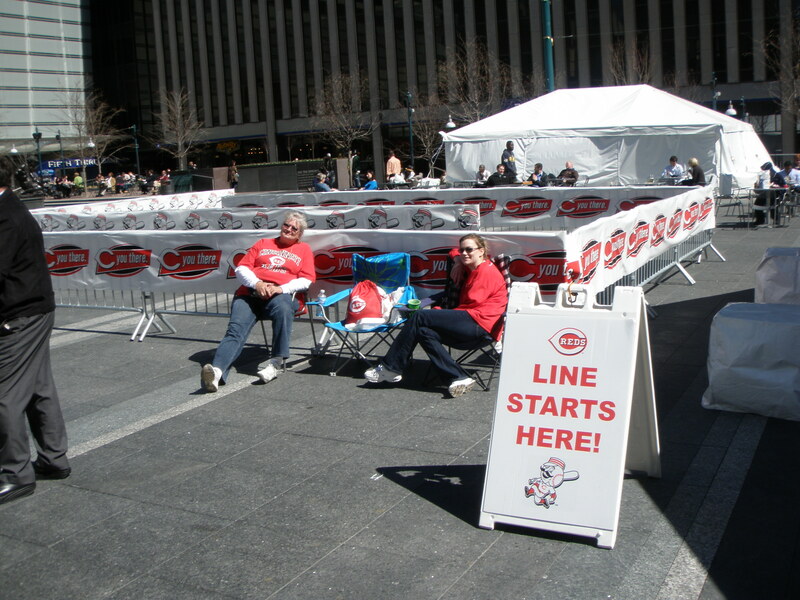 They’ve lined up for years at the ballpark for Reds tickets. How do those in line stay entertained? 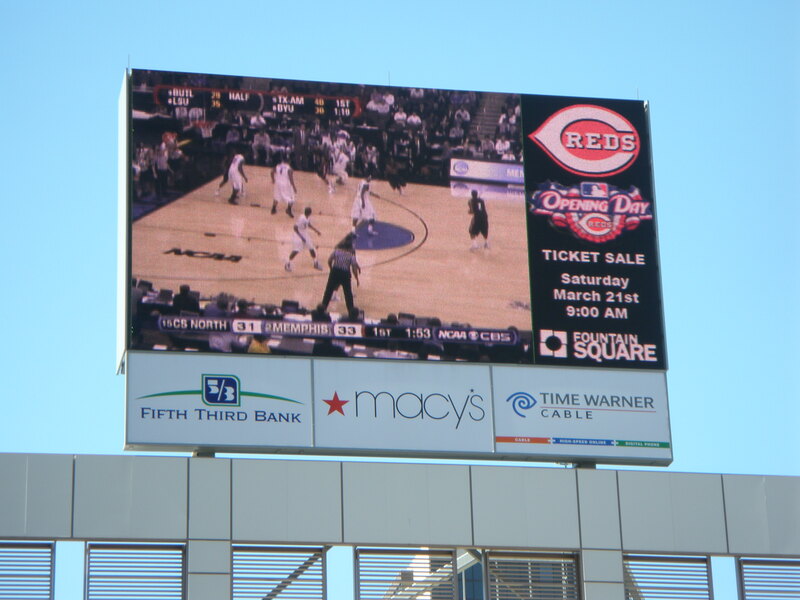 The giant Fountain Square video board (with full audio) will be showing the televised Reds game at 7:00 p.m. tonight against the Boston Red Sox. Also on the schedule, the Reds/Astros game tomorrow at 1:00 p.m. and some college basketball to fill the voids. Stay tuned for more Opening Day news, only 17 more days! I’ll be making my first trip to Great American Ballpark in April. I can’t wait.